1.Dow Transports Massive Post Election Bump….15% Rally….45% Rally Off 2016 January Bottom. 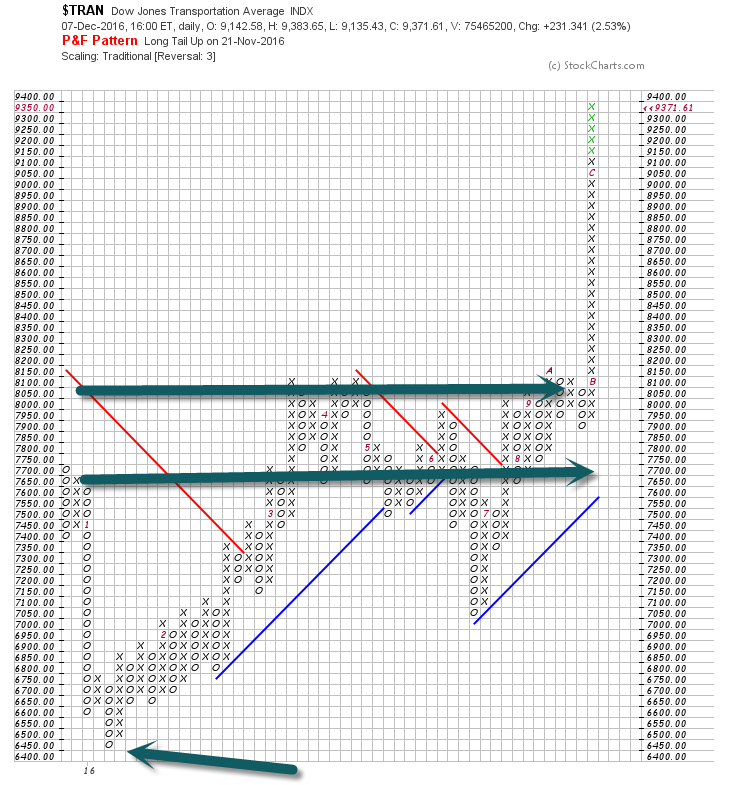 Hard to Believe, but Transports are 45% Above Jan. Low….See bottom arrow. 2.Healthcare Rally Post Hillary Loss Giving It All Back. 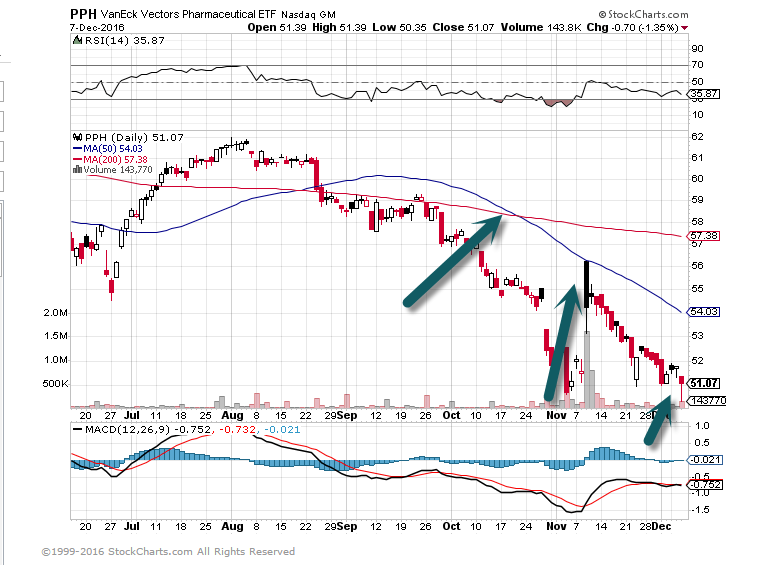 PPH Pharma ETF Back to November Lows. Biotech ETF BBH Rolling Over After Trump Bounce. 3.Bigger Look at Post Election Sector Rotation. To say that last month’s election was one of the most impactful Presidential elections in recent memory would be an understatement. Sure, there were big moves in the market when President Obama was elected, but in the weeks that followed, stocks across different sectors all moved in the same direction (lower). This time around, the rotation has been something to behold. To illustrate this, in the charts below, we compare YTD performance ranks of the ten major sectors throughout 2016. 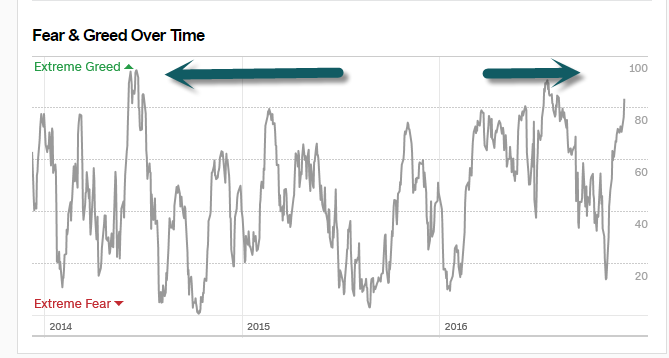 To start off, the biggest rotation we have seen is in Financials and Utilities. Throughout most of 2016, Utilities, with their high yields, were the top-performing sector in the S&P 500. Post-election, though, that leadership came crashing down, as the sector has gone from first to nearly worst in the span of four weeks. 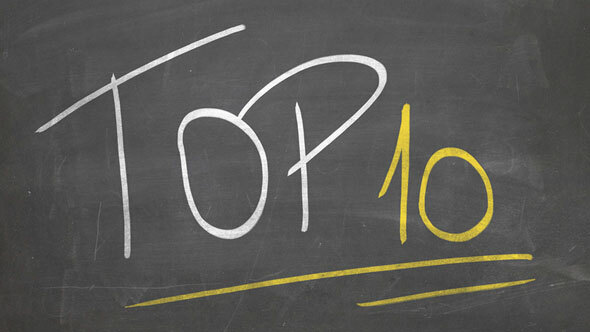 The sector is still up 8.5% on the year, but that ranks as the fourth worst of the ten sectors. 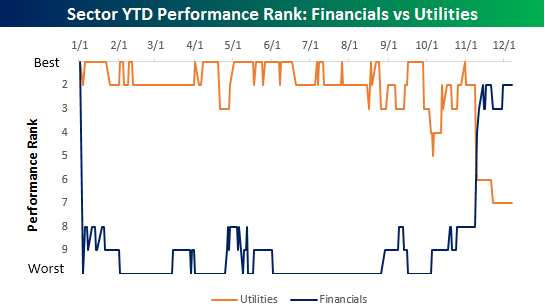 In what has been a mirror image of Utilities, the Financial sector has gone from worst to nearly first over the same span. With a gain of 21% on the year, the only other sector doing better YTD is Energy (23.5%). While the magnitude of the shift has been smaller, Industrials and Technology have seen a similar shift in their YTD performance ranks. 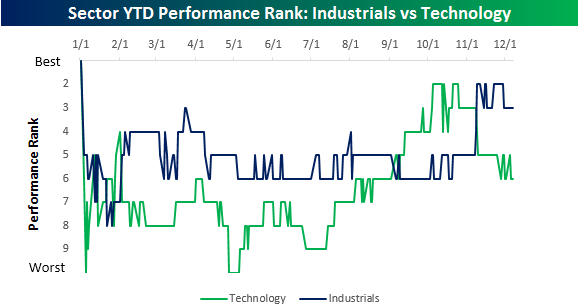 As recently as late October, Technology was the second best performing sector YTD, but now ranks at just the sixth best. Industrials, on the other hand, have moved from sixth best up to the third best. 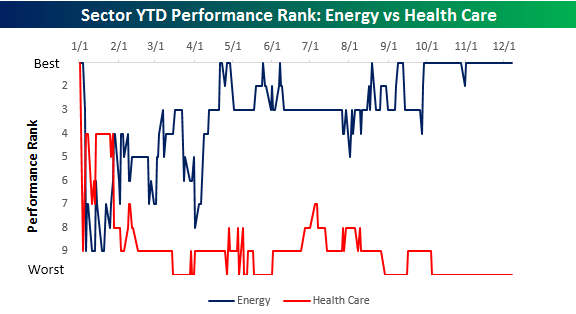 Finally, while many sectors have seen big shifts in their YTD performance ranks, two sectors that have seen little impact in their ranks are Energy and Health Care. 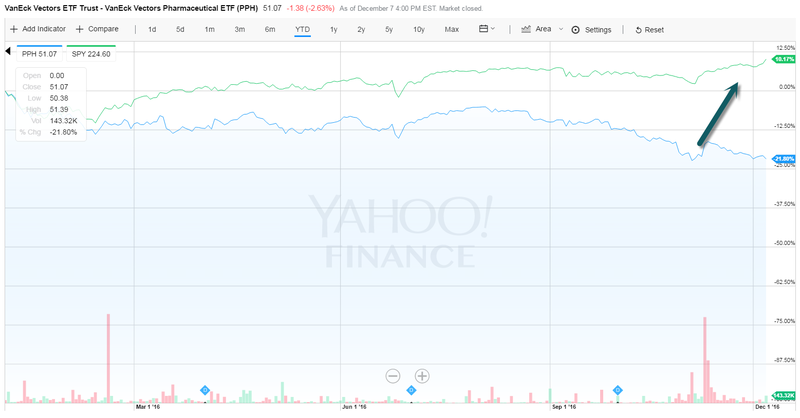 The Energy sector was and continues to be the top performing sector, while Health Care has remained in the cellar. Immediately after the election, Health Care (Drugs and Biotech more specifically) got a lift as Clinton’s loss was seen as a positive signal that these companies wouldn’t have a foe in the White House. What the market failed to take into account, though, was that Trump’s rhetoric towards the sector hasn’t exactly been friendly – a theme that was reinforced in his Person of the Year interview in Time earlier on Wednesday. When it comes to drug pricing, Health Care stocks don’t have many friends in DC on either side of the aisle right now. 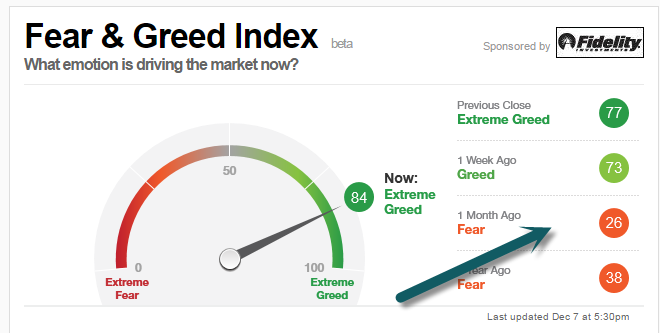 4.New Market Highs…Extreme Greed Index Goes From 26 to 84 in One Month. 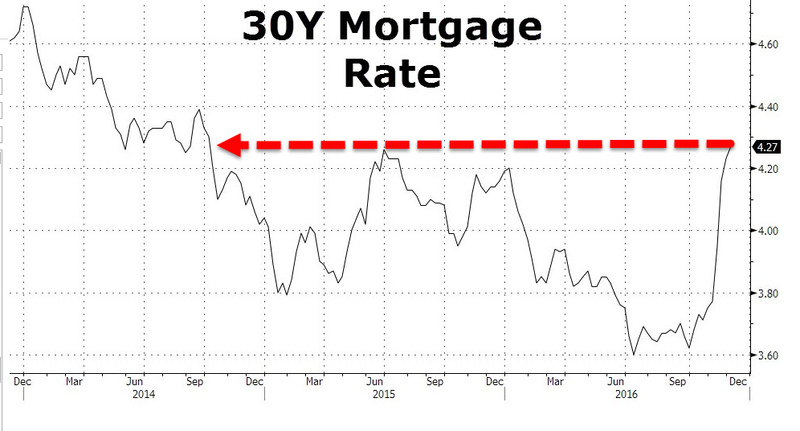 5.The Problem with Rising Interest Rates. 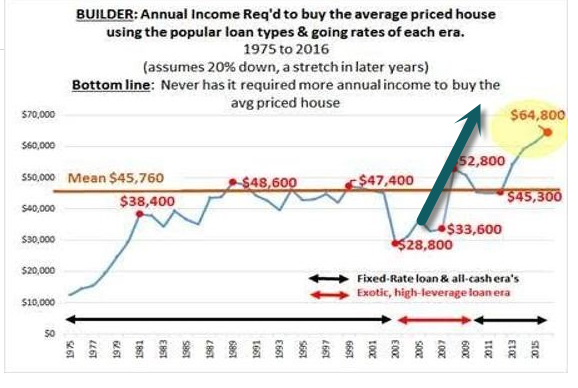 Annual Income Required to Buy House…40% Higher than 2012. 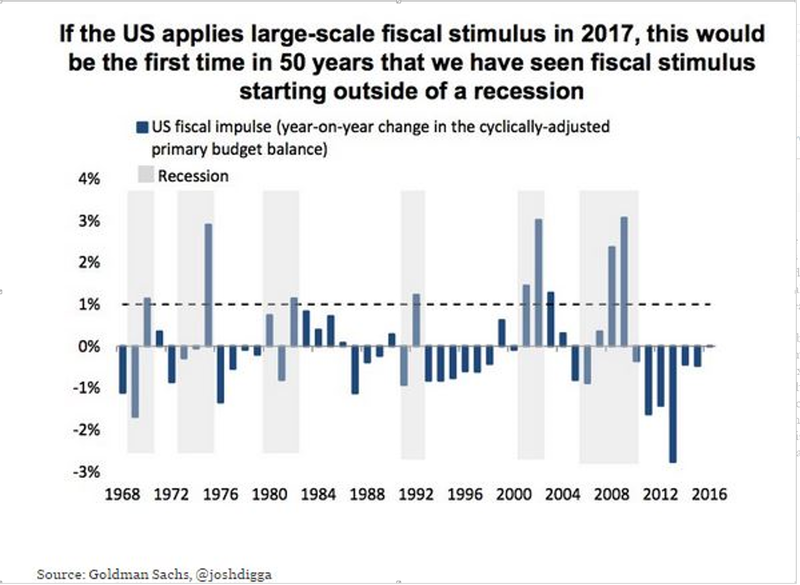 6.Interesting Chart…Trump Fiscal Stimulus During Bull Market? From Tim Hussar at Sage Financial. 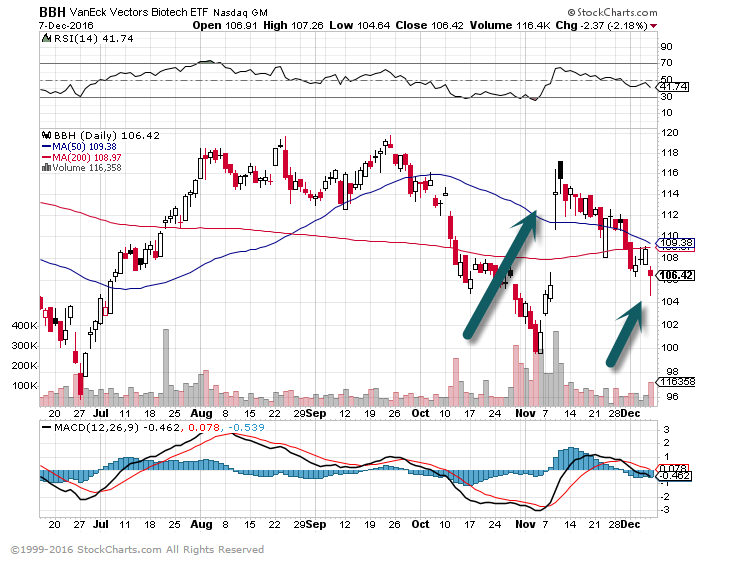 7.Look for Continued Consolidation in Asset Management. Struggling active management performance and continued fee pressures were to blame for a negative outlook. Moody’s Investors Service downgraded the global asset manager industry to a ‘negative’ from ‘stable’ rating for 2017. The ratings agency blamed accelerating flows into low-fee and passive products, fee pressure across almost all industry segments, regulatory initiatives constraining sales and increasing costs, and high asset valuations and global macro divergences increasing tail risks. 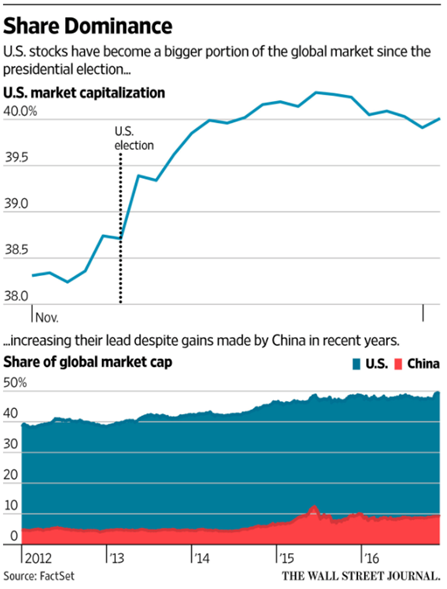 Furthermore, global regulation is adding to fee pressures, Moody’s said. The downgrade comes on the heels of the US Department of Labor’s new fiduciary rule that promotes fee transparency while reducing conflicts of interest, “thereby rooting out excessive fees,” the report continued. “Relative performance and fee sensitivity are lessons that are being absorbed across the industry, and that’s a pressure that can build over time,” Epstein told CIO. Moody’s further emphasized that low pension plan funding ratios and weak hedge fund performance contributed to fee pressures. “The amount of effort it takes to try to build [hedge fund] portfolios and identify the managers has simply not kept up with the return, not to mention the cost of the product themselves,” Epstein said. 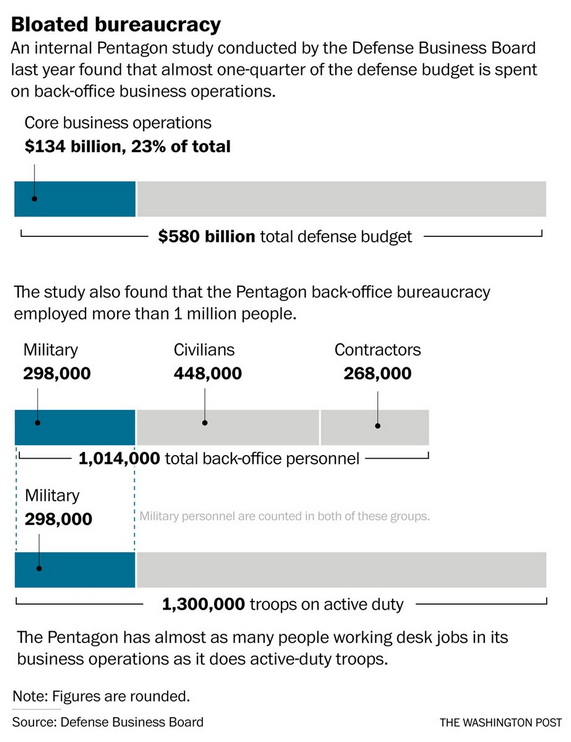 9.Pentagon has Almost as Many Civilian Desk Jobs as Active Duty Troops. From our Food for Thought™ section: How much of the US defense budget is spent on bureaucratic jobs? 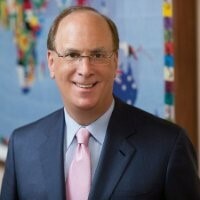 10.Class of 2016: Humility is the Key to Growth-Larry Fink. On Friday, June 10, I delivered the commencement address to UCLA undergraduates. Here are my remarks. Chancellor Block, Deans of the College, distinguished faculty, parents and other family members – please join me in congratulating the UCLA Class of 2016! Bruins: it is a privilege to stand before you. I feel like a Bruin every day. And to be able to join you in Pauley today is an incredible honor for me. Today is a celebration of all that you have accomplished at UCLA, but as Chancellor Block said, today’s ceremony takes place in the shadow of a tragedy. What happened on campus last week highlights how precious every life is. It shows us how fragile our existence can be. It demonstrates how powerful the bonds of community are…especially the comfort and care you have shown each other in these trying days. And it speaks more powerfully than anything I could possibly say today about making the most of the gifts you have been given – about the importance of living your lives with purpose and meaning. Your undergraduate education, I hope, has helped prepare you to do just that. My time at UCLA certainly was where my eyes started to open to the wider world. That’s what a great public university should do. It’s why this institution is so important. It’s why I’ve stayed connected to UCLA since I stood in your shoes 42 years ago – and why I am so honored to be here today. This place is in my blood. My parents went here. My brother went here. My wife went here. My parents were firm believers in the importance of public education – they always expected us to attend college at one of the U.C. or Cal State campuses. The idea of attending a private institution, with far fewer NCAA championships…or fewer Nobel Laureates…say, a university near downtown LA…well, that was out of the question. I kid…and in fact, as a member of the Bruin community I was touched to hear of the support offered by USC and its first responders during last week’s tragic events. So I arrived in Westwood in the summer of 1970, mostly clueless…and with significantly more hair. And even though UCLA is a big place, it always felt small to me – a place where I could begin to figure out who I was. And in my time here, I found incredible opportunities to be curious, to explore – to study art and public policy and all these things I knew I loved. But I also had the good fortune of being part of a community – one that encouraged me to try new things and push the limits of my knowledge. I met two professors here – one as an undergrad, one in grad school – who taught me about finance, and mentored me, and encouraged me to try a career in New York. Before that, I hadn’t really ever considered a life beyond L.A., beyond California. I wasn’t positive about it – but I was curious. It was an opportunity to learn. And that felt right. So after I graduated, I went to New York. And that choice, at first, would lead to success – but then, also to crushing failure. And that’s what I want to talk to you about today – about living with purpose and curiosity through both success and failure. About not becoming complacent or arrogant when you succeed, or self-pitying when you fail. About holding yourself to a standard of self-reflection and humility through a range of experiences. That challenge begins when you walk out of the doors here today…it continues when you get a job…when you have a child…when you enjoy success. And when you screw up, as we all inevitably do. Especially when you screw up. I moved to New York right after graduating from Anderson, and by the time I was in my early thirties, things were going great. I was working in financial services, trading bonds. My team and I felt like rockstars. Management loved us. I was on track to become CEO of the firm. And then…well, I screwed up. We lost the company a lot of money. And all of a sudden, we went from “partners” to outcasts. I was upset with how we were sidelined. But I was even more upset with myself, because I had become complacent…too sure of what I thought I knew. I believed I had figured out the market, but I was wrong – because while I wasn’t watching, the world had changed. The thing is, success and failure aren’t built on particularly different foundations. They both require you to look yourself in the mirror, ask yourself the difficult questions, and figure out how to be better every day – better as an employee, better as a boss, better as a friend, better as a brother or a sister or a partner. Success and failure both require humility – knowing there are limits to your knowledge and your abilities. Humility is being able to admit that you were wrong. It’s not always easy. But if you can’t admit you’re wrong, you can’t grow. And this matters as much in your personal life as it does in your professional life. You’ve got to hold yourself to a standard of decency, passion, and humility. Whether in my 42 years of marriage or my 40 year career, I know that one of most important things I can say when I’ve made a mistake is: “I’m sorry. What can I do better?” Only when you’ve asked that question can you really begin to grow. So in the wake of my own failure, I took a hard look at myself, at the behaviors that led me there. I was filled with tremendous self-doubt – Can I truly be a leader? Can I manage people? Can I truly help people grow their savings and improve their financial futures? But you can’t let self-doubt slow you down forever – you have to use it to propel you forward. So I used that time of introspection to motivate myself. To look at my mistakes. And to make careful, deliberate decisions about my future. And over time, I became more confident that I wanted to start a company – a company that was built on the ashes of my failure. My team and I hadn’t fully appreciated the changing financial markets, or the shifting political and regulatory environment…and we didn’t manage those risks effectively. Simply put, we didn’t understand how the world was changing. That was 1986. Not everyone in finance learned those lessons. Thirty years later, the financial crisis brought the global economy to its knees, because people didn’t take the time or make the effort to understand the risks they were taking—and, in turn, the risks they were creating for others. They were too confident in their knowledge…too sure they were right. My partners and I never wanted that to be our story at BlackRock. So we set out to learn and understand more about the actual risks in investing than anyone else in the world. And we vowed that we would never, ever take our knowledge for granted. To this day, I never do. I am constantly pushing myself to learn more about the world, about markets, about the people I work with. Because I know the moment I become too confident, too complacent, and lose that desire to learn…I shouldn’t be in charge anymore. Knowledge is gone in a day. It evaporates. You have to chase it constantly. Yet too often, you’ll find people who are just “doing” – doing the job without thought or purpose. “Doing” the bare minimum to finish a task and move on. They do things in a vacuum – thinking just about the task, or just about themselves, but not the wider world. Or they can’t see beyond the work itself, never pausing to take time for their loved ones. When my kids were young, I always made a point of getting home for dinner. And that time I spent with them at home – that matters more to me than anything I’ve accomplished at the office. My wife Lori and I often talk about what the world will look like for our grandchildren and their loved ones. It’s true that America today faces many challenges. Standing here, however, looking at this group of graduates, I am deeply optimistic about the future of this country. The talent and passion that you will bring to advancing science and technology, to breaking new grounds in the arts, to fighting for social justice – it gives me great hope about our future. I am lucky enough to travel around the world for my job, and I see no nation better prepared than America to deal with tomorrow’s challenges. But the world is also becoming more interconnected, so as our future leaders, you must adopt a truly global outlook for you and our nation to succeed. We cannot turn our backs to the world if we truly wish to bring prosperity to our country and all of its citizens. After today, some of you may be going on to graduate school, others will be going out in the working world. But if you think that leaving school means the end of your education – the world will quickly pass you by. In this very building, John Wooden – “The Wizard of Westwood” – performed a remarkable feat – 10 national championships in 12 years, including 7 straight. What was most astonishing about John Wooden was his ability to win with unmatched consistency, year after year. During his career, his team changed, his opponents changed, and the game changed, but he found a way to win again and again. He was truly a student of the game. And it was his desire to keep learning – to reinvent his strategy while anchoring it in principles of decency and empathy for his team and each of his players – that drove his success. As much as you may have struggled in deciding what your major was or what courses to take, I honestly believe that whether you studied economics, music, math, or literature – the most important lesson you will take away from UCLA is not what you learned, but how to learn. And as you celebrate your final moments as an undergraduate, I urge you stay connected to UCLA – to be an advocate for public education and its profound ability to create opportunities and bring together the widest and most diverse set of ideas. So as you enter the world, set yourself a high standard. Don’t settle for the conventional wisdom. Before the financial crisis, too many people did just that – they settled for the conventional wisdom. Everyone said the same thing: everyone said, the risks are under control! The money’s good! Housing prices will never go down all at once! There were so many failures – so much hubris, so much arrogance, so much greed. But the one that we don’t think about enough was the lack of inquisitiveness – the colossal failure to look in the mirror and think about the ramifications of what was going on. Too many people thought they had it all figured out – thought they had learned everything they needed to know. When people fail to learn, the consequences are much greater than getting fired or being passed over for a promotion. The consequences are millions of people losing their homes and their jobs. Or watching the world turn to dust because we said climate change was a myth. Or seeing our nation torn apart because we will not confront racial and economic injustice even when it stares us in the face. What I mean to say is this: learn not simply to advance yourself or your own personal interests, but to hold the world to a higher moral standard. To shine a light on what’s broken. To challenge what the world deems acceptable, or normal, or unchangeable. To make the world a safer, more peaceful place. When you fail – as we all do – don’t cover it up. Look at it. Fix it. Learn from it. In the same way, when you succeed, don’t get too sure of yourself. Look at your success just as hard, if not harder than your failures. And as you grow older, and become responsible for others – your children, your partner, your employees, your own students – when they fail, embrace them. When they succeed, challenge them. Teach them. Learn with them. Help them move forward. A successful life journey requires continuous learning. And what you have gained here at UCLA is the map for that journey – not the knowledge but the tools to acquire it – to keep learning. It is a great gift – because in those moments when you are most worried…most confused…and most unsure, know that you can push yourself to learn from your challenges…and prevail. You have the tools. Use them every day. Bruins, in just a short time, you will move your tassels from right to left. Do it proudly – do it with purpose. Your responsibility is to push the boundaries of knowledge. And this responsibility never ends. The opinions expressed are current as of June 2016 and are subject to change. Reliance upon information in this article is at the sole discretion of the reader.